Animals, plants, and human society have adapted to changes in the past, but in the future, adaptation will be particularly challenging due to the forecasted rate of change. We won’t be adapting to a new steady state, but rather to a rapidly moving target. 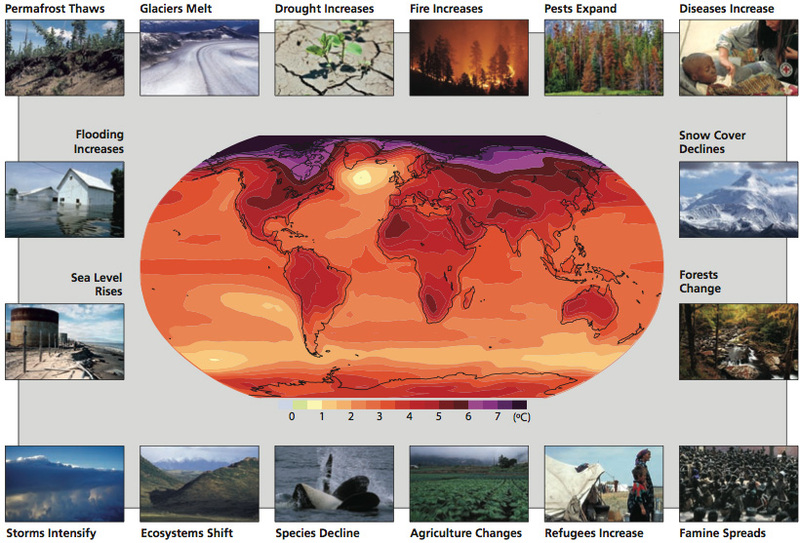 Not too many years ago, discussion of the impacts of climate change primarily involved projections for the future. A major change that has occurred in the past decade is that some of the effects of global warming are apparent now – climate change impacts have moved firmly into the present. Human-induced warming is already affecting the water cycle, certain types of extreme weather, the frequency and intensity of fires, and many plants, animals, and people on every continent. Observations of plant and animal species reveal changes consistent with the expected responses to global warming. It is not surprising that the observed changes have been greatest in the regions that have warmed the most. As warming increases, its impacts are expected to grow.